It is important to keep your boiler system well maintained. This is to make sure that it continuously works properly. Therefore, you really have to keep it at a consistent pressure. As a general rule, the hot water system is working through the flow of water that has a cold temperature from the main system. Unfortunately, if there is some kind of leaking, there may be a reduced pressure in the water system. This means that you will really have a difficult time getting hot water. You can check whether the issue is actually due to a reduced pressure by checking the gauge. The gauge is usually at 1-bar. 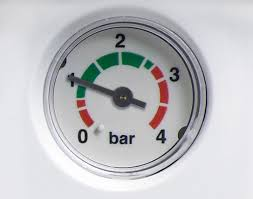 Once you see that the gauge has increased or has been reduced, this means that there is a problem with the boiler. The first thing that you might want to do is to go for the resetting of the pressure. This might actually solve the issue. If in case the pressure still increases or decreases, there is a bigger issue that entails the expertise of a professional. You might want to check the manual for your boiler system. There are certain instructions that will give you the methods that might be perfect for most types of boilers. 1. Turn off the boiler and let the entire boiler lower down in temperature. 2. Check the loop hose. Make sure that they are connected to a valve. 3. Open the valve with the help of a screwdriver. This will entail the entering of the cold water into the boiler system. 4. Check if the gauge is set at 1-bar. If so, make sure that you close the valve. That should be set at that level. However, this also shows that there is still a problem. 1. Verify that the valves are properly closed and secure. 2. Try to loosen the radiators in order to lessen the pressure. Just in case that the above methods will not work, this might mean an issue with the valve. Try to have this checked by an engineer. Try these methods in order to quickly fix the boiler system. You just might be able to solve all the issues by following these methods. 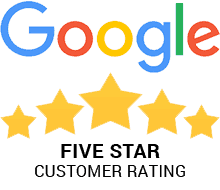 Of course, you should contact the experts if you still cannot solve the problem.